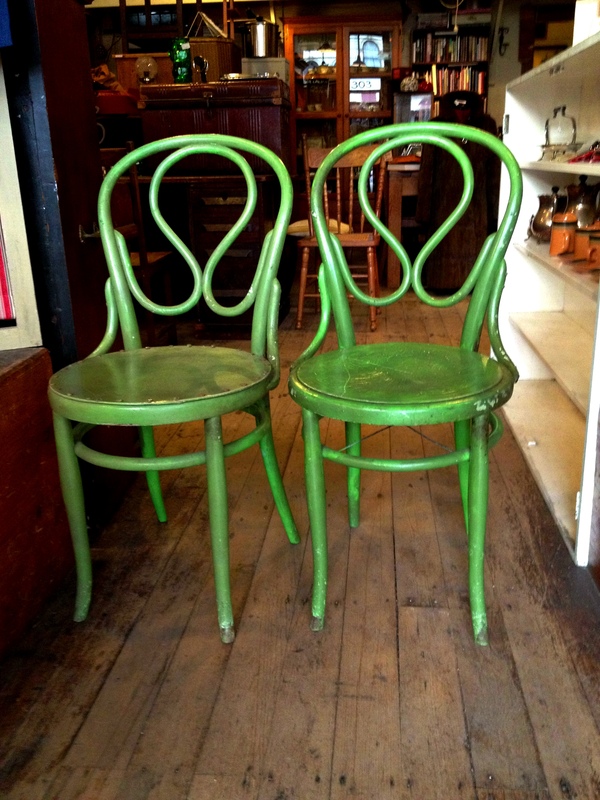 Two similar bentwood chairs from the early 1900’s. Identical backs but two different seats. Gosh we have difficulty pronouncing the generic name for this style of chair, we have heard about three different versions of the name Thonet, each one claiming to be correct. Next time we have the chance we must ask a real German speaker. It is fascinating to reflect that Thonet had shipped over 1,000,000 chairs in flat packed form before outbreak of the First World War. $95 each.